NFL Totals: Who Are The Best OVER and UNDER Teams Through Nine Weeks? Picking the top OVER and UNDER teams for NFL totals bettors through the first nine weeks of the season takes more than just checking out the top scoring offenses and the top scoring defenses in the league. 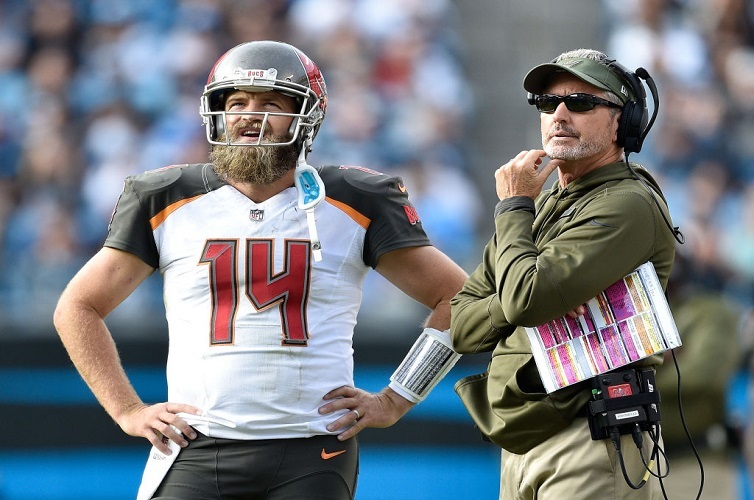 For OVER bettors, the top option so far this season has been the Tampa Bay Buccaneers at 7-1. There is a reason the Buccaneers are the top OVER betting option this season. It is a combination of a high-scoring offense (ranked seventh in the league) and the league’s worst scoring defense. Tampa Bay has given up 30 or more points six times already this season. It will be interesting to see if this OVER trend continues for the Buccaneers. Their next three games are against lower-ranked offenses in the Washington Redskins, New York Giants and San Francisco 49ers. The only other team that comes close to matching the Buccaneers’ OVER output are the Atlanta Falcons at 6-2 on the OVER. The Falcons fit the same mold as the Buccaneers with a top-eight ranked scoring offense. This is combined with one of the worst scoring defenses in the league, ranked 29th. The Falcons might seem like an odd pick for OVER bettors. They finished last season with seven straight UNDER results. Keeping the OVER trend going this week seems promising for the Falcons. They face a Cleveland Browns squad that has gone 3-1 on the OVER in their last four games. For UNDER bettors, the closest thing to a standout this season has been the Seattle Seahawks at 6-2. Following them are four teams at 6-3, including the Buffalo Bills, Baltimore Ravens, Houston Texans and Denver Broncos. The Seahawks have posted three straight UNDER results. They’re 6-1 on the UNDER in their last seven games. They’ve been especially profitable for UNDER bettors on the road at 8-2 in their last 10 games. Despite their once-renowned defense losing a lot of big names over the past few seasons, the Seahawks still rank sixth in scoring defense this season. Also helping with the UNDER trend is a scoring offense that sits in the middle of the pack in the NFL, ranked 17th. UNDER bettors may want to take a week off betting on the Seahawks, though. The Seahawks face the Los Angeles Rams this week. Their lone OVER result in their last seven games came when they faced the Rams in Week 5. From the four teams sitting at 6-2 on the UNDER the one with the most favorable NFL odds are the Buffalo Bills. Buffalo is 6-1 on the UNDER in its last seven games. They had a six-game UNDER streak snapped last week after it surrendered 41 points to the Chicago Bears. The reason Buffalo looks like an UNDER pick every week is its league-worst scoring offense that averages only 10.7 points per game. With games against other inept offenses – the New York Jets, Jacksonville Jaguars and Miami Dolphins – coming up, that UNDER trend could continue for Buffalo.